432 MHz 5 elements Yagi - 5 Element Yagi with Conventional Driver, this little Yagi has a high F/B, which makes it quite useful as a contest stack. A broadband contest antenna for 80m - The challenge with contest operation on 80m is finding an antenna that works well over the range 3.50 MHz to 3.85 MHz. SMSS - Swedish Lakes - SMSS - Swedish Lakes. A Contest where you collect as many lakes as possible of over 100000 lakes. 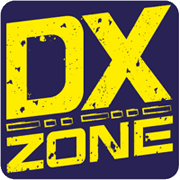 599 DX Association - Formed in 2010 by a group of hams whose core hobby interest is DXing and Contesting. The 599 DX Association members are unapologetic about their love and enthusiasm for this aspect of our hobby. K8CY - The Ashtabula County Amateur Radio Club - The Ashtabula County Amateur Radio Club is a group of amateur radio operators (Hams) in Ashtabula County, Ohio. We dedicate ourselves to all aspects of amateur radio communications, from emergency communications, to social gatherings, to contesting. Our club is open to anyone wanting to learn and participate, regardless of licensing. Contest Log Sheet in US Letter Format - An ham radio contest log sheet in a PDF US letter printable format, can be used for portable operations, free to print and download. Contest Log Sheet in A4 Format - An amateur radio contest log sheet printable in A4 format, useful for portable operations, free to download PDF File.